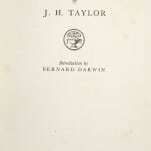 Taylor, J.H. (John Henry); Introduction by Bernard Darwin. 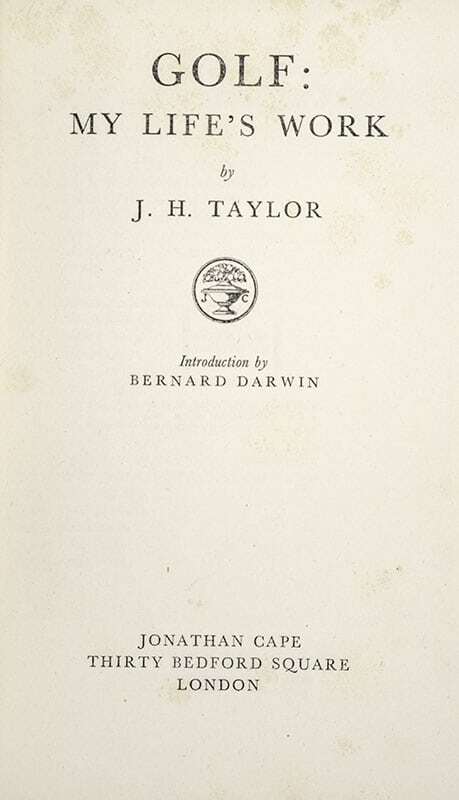 First edition of Taylor’s classic autobiography. Octavo, original cloth, frontispiece, illustrated. In near fine condition. John Henry "J.H." 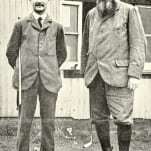 Taylor was an English professional golfer and one of the pioneers of the modern game of golf. 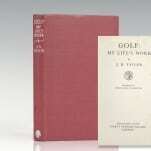 Taylor is considered to be one of the best golfers of all time. He was also a significant golf course architect. He was a member of the fabled Great Triumvirate of the sport in his day, along with Harry Vardon and James Braid, and he won The Open Championship five times. 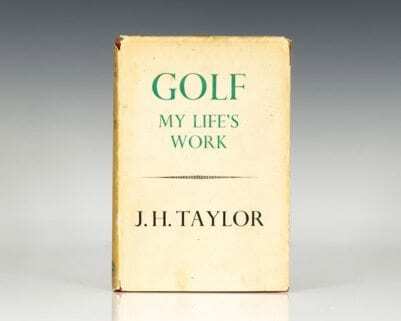 First edition of Taylor’s autobiography, who is considered to be one of the best golfers of all time and a pioneer of modern golf. Octavo, original cloth. Frontispiece, illustrated. Introduction by Bernard Darwin. 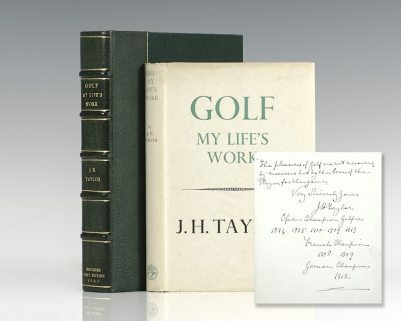 Inscribed by the author, “The pleasures of golf are note measured by successes but by the love the player for the game. Very Sincerely Yours, J.H. Taylor. 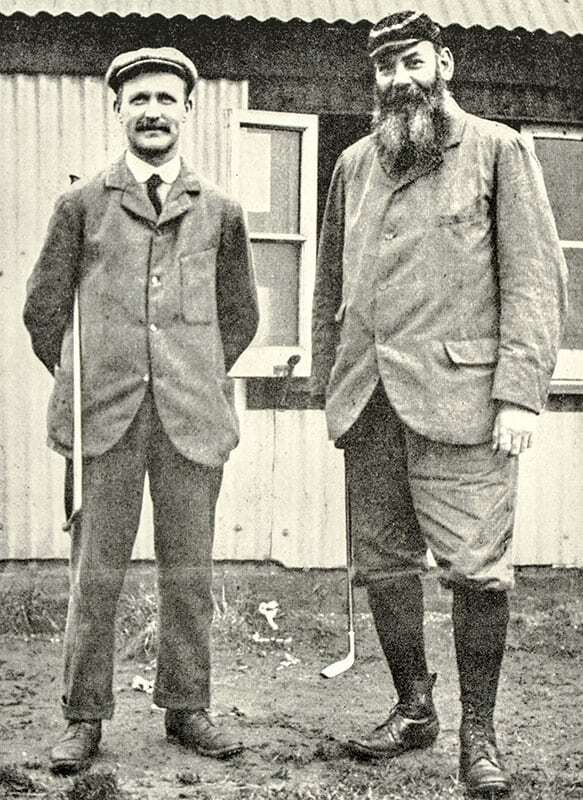 Open Champion Golfer 1894-1895-1900-1909-1913. French Champion 1908-1909. German Champion 1912.” Fine in a near fine dust jacket. Housed in a custom half morocco clamshell box. Rare and desirable. 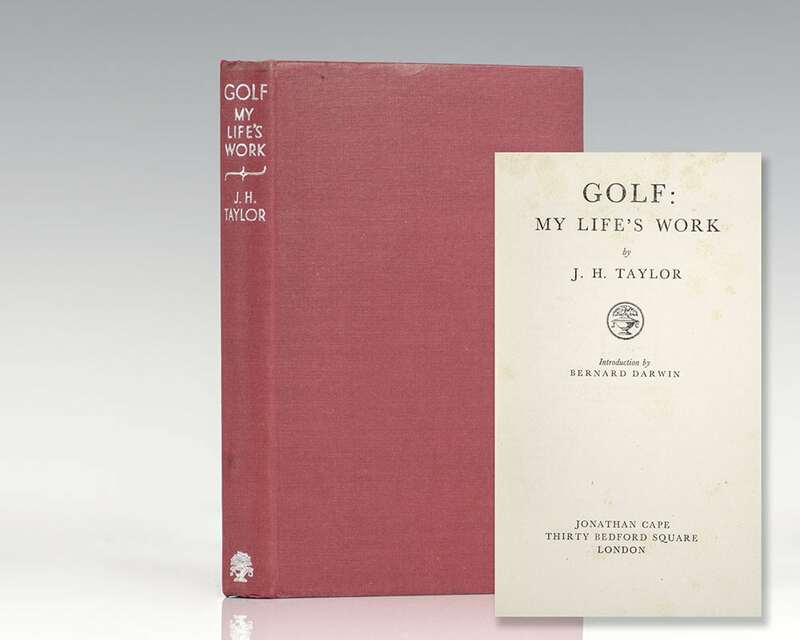 First edition of Taylor’s classic autobiography, who is considered to be one of the best golfers of all time and a pioneer of modern golf. Octavo, original cloth, frontispiece, illustrated. Near fine in a very good dust jacket with a few small chips to the spine. Rare in the original dust jacket.